One of our most popular Indian sandstone paving packs, AWBS Meadow Blend brings together neutral greys, browns and greens giving this paving a fantastic rustic, earthy appeal. Ideal for either traditional or contemporary gardens, this beautiful natural riven sandstone paving will look fabulous in any outdoor area. A very popular part of our AWBS Exclusive Paving Range, Meadow Blend is available to purchase in a full project pack that will cover a total of 15.22m² and is made up of a mix of four different sized slabs allowing you to create an attractive randomly laid patio. Alternatively, you can also purchase slabs individually. These slabs are approximately 15-22mm thick. We also sell Meadow Blend circle kits, that will compliment this paving perfectly! All natural stone paving should be laid on a full bed of mortar and this product requires pointing in with a minimum joint width of 10mm between slabs. 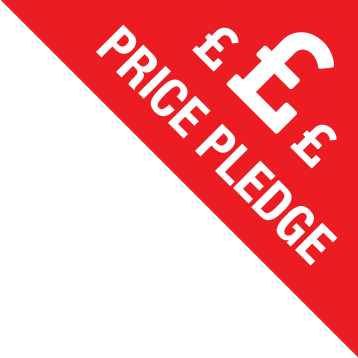 Why not have a look at our very handy guide showing you how to lay a patio for more help. Indian sandstone, the perfect natural stone choice. 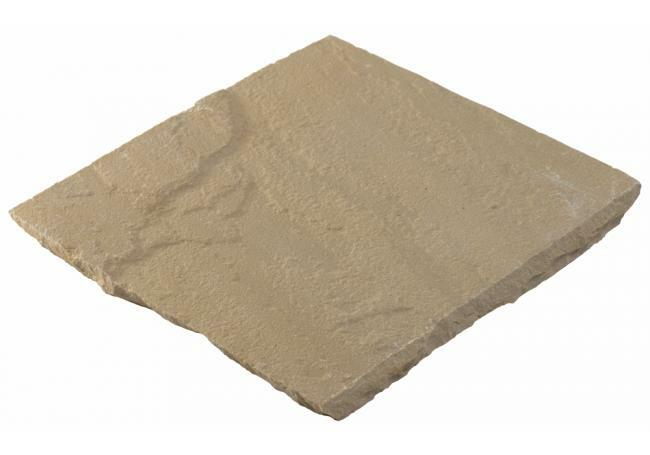 Indian sandstone is a very popular material for using as paving as it is hard wearing, easy to cut, great looking, fade resistant and it offers a huge range of different styles and natural colouration options. Each slab is unique and will often show distinctive markings, splashes of colour, minor imperfections, mineral deposits and even the occasional fossil. Sandstone is also available in a huge range of different shades, with core colours of grey, buff, cream and brown very popular alongside subtle contrasting shades of pinks, oranges, reds and blacks. All of these elements give sandstone paving it’s unique and original appeal, with no two slabs ever being exactly the same. For this reason, any photography is as close a representation to the paving as possible however they may differ from the images shown. Slabs sizes listed as well as laying patterns should be used purely as a guide. It’s also important to note that the batches of the same product may change over time due to quarrying different seams of the rock. All sandstone supplied by AWBS is ethically sourced from reputable suppliers who have a commitment to sustainability. 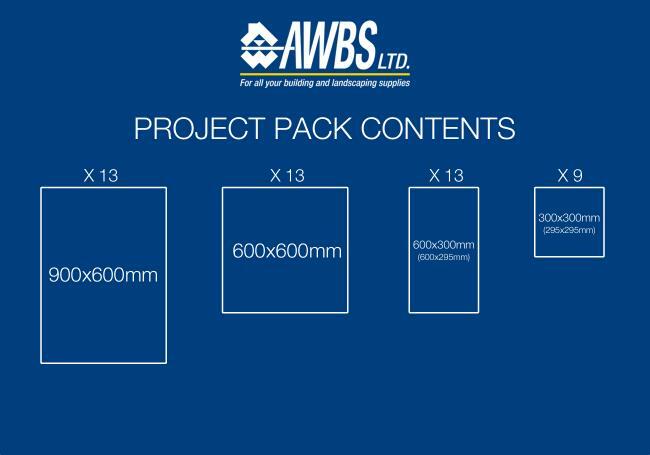 Our AWBS Exclusive Range is a fantastic and varied range of great looking, value for money natural stone paving. 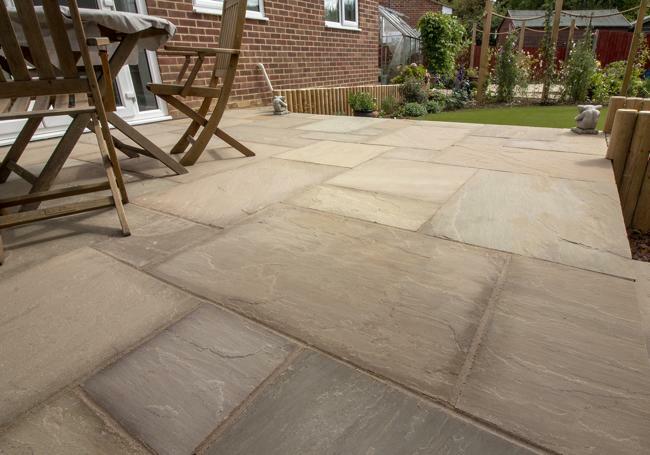 You'll find sandstone, limestone and slate paving in many different styles and shades that are ideal for transforming your garden or outdoor space. 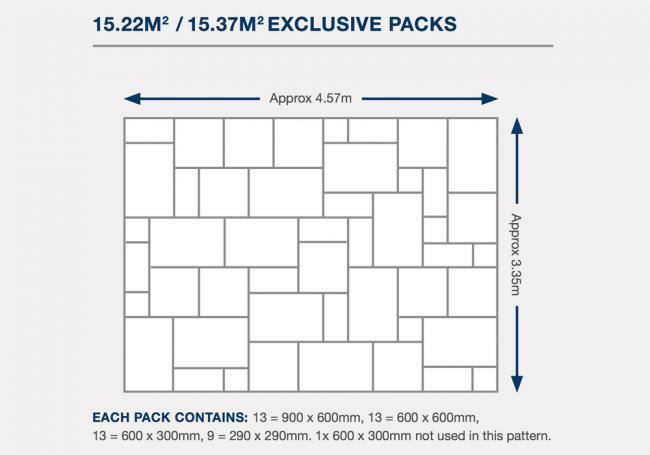 If you'd like a closer look, we've put together a useful article with more information on our AWBS Exclusive Range, where you can find more product information and inspirational ideas for your paving and patio. 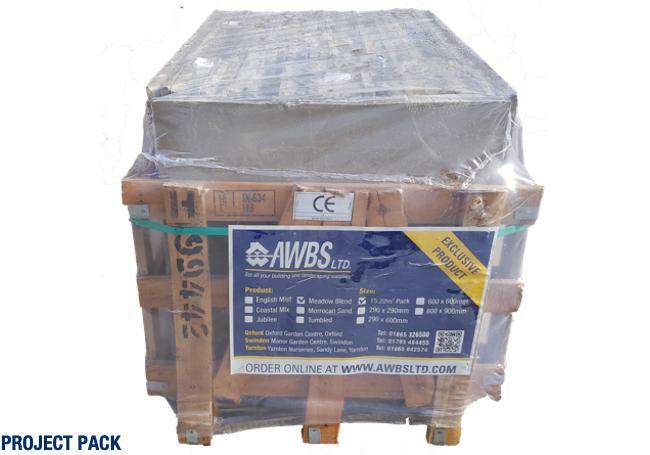 AWBS hold a full range of natural stone paving in stock at our branches in Oxford, Yarnton & Swindon and we offer free delivery to local areas. Find your nearest branch here! You can also use our handy postcode checker to see if you qualify for free delivery! Included Sizes (mm) 900x600, 600x600, 600x295, 295x295. 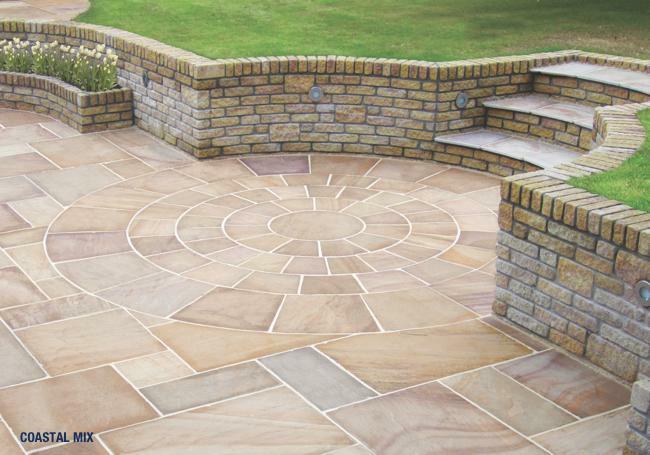 These stunning AWBS exclusive Indian sandstone circles come in a range of three diameters are available in the meadow bl..
A 9.98m² mixed pack of natural sandstone setts that are ideal for pathways, cobbled driveways or patio areas. These AWBS..